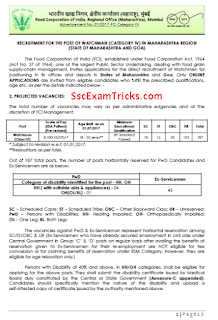 FCI Watchman HP Admit Card / Call Letter 2018 Himachal Pradesh Region - FCI Watchman HP Admit Card 2018 PET Call Letter - www.fciregionaljobs.com. The good news is that Himachal Pradesh HP FCI Watchman Admit card has been uploaded on the official website. The exam has been scheduled to be held on 12th November 2017. Those candidates who have applied for these posts can download their online admit card from the link given here. 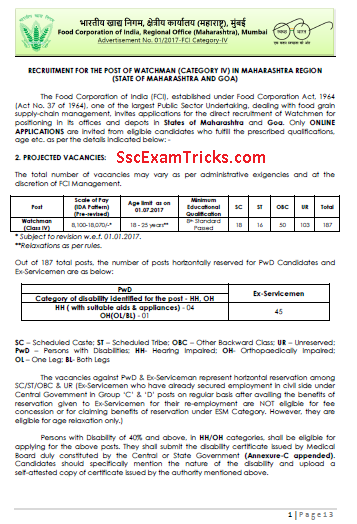 Food Corporation India has released notification watchman and invited applications from 15th June to 15th July 2017 at www.fciregionaljobs.com.Interested and eligible candidates can download the notification and can apply online for this recruitment before the last date.